Please pay close attention to Michael in this photo. Some of my best friends live all around the country. I miss my friends Michael and Tommy in Chicago dearly – they can make any moment fun and carefree. 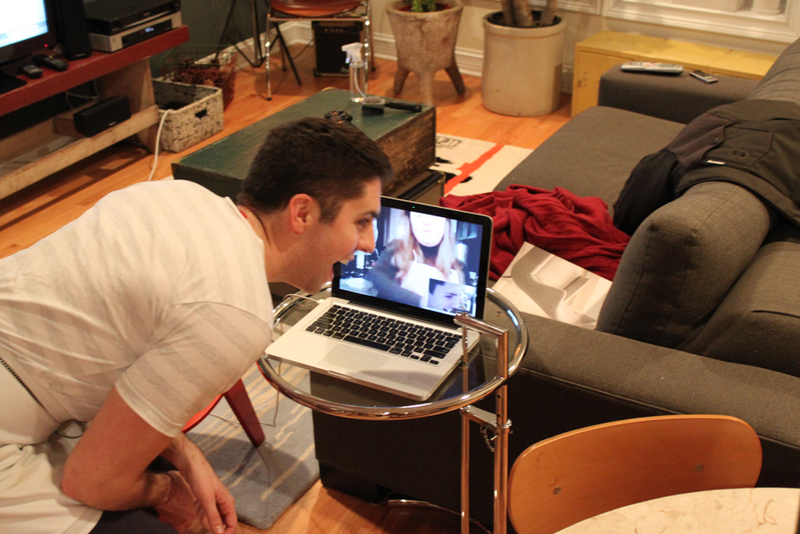 Thanks to the smart people at Google, I get to see their cute faces more often using Gmail Video Chat. 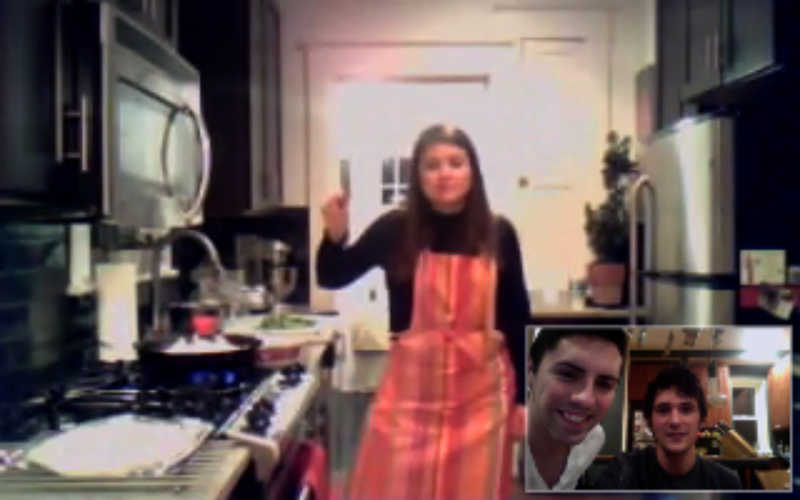 While catching up one day, we thought it would be great fun to cook dinner together over our webcams. Michael only knows how to make about five things and Tommy was excited for him to learn something new. 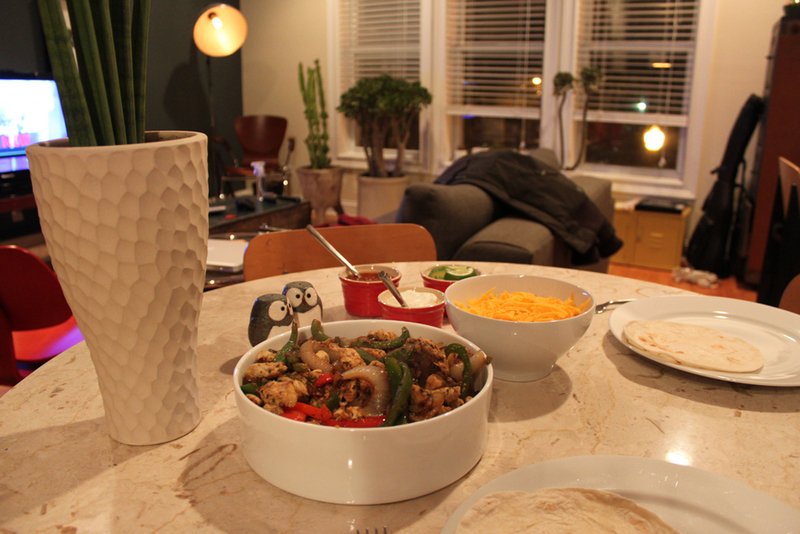 So, I picked my easy fajita recipe, emailed the grocery list and directions for marinating and scheduled a 7:30 eastern standard time webcam cooking class. The class was not only a success but a whole lot of fun! The only challenge was talking loud enough over the sizzling skillet! 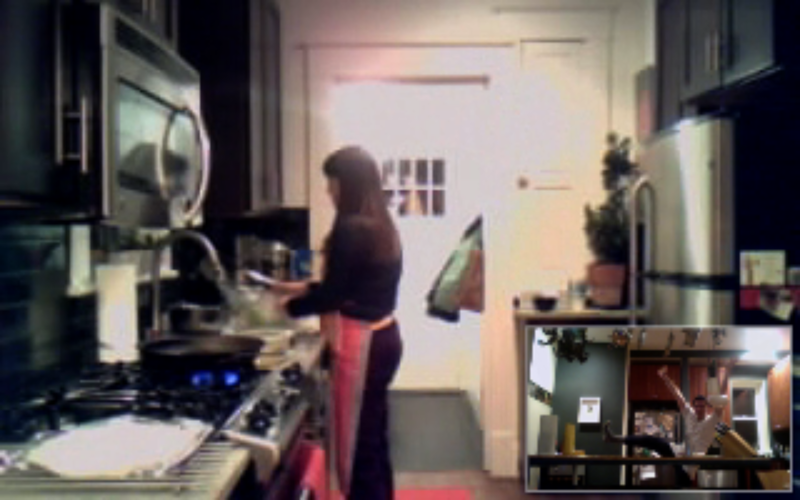 I highly recommend this recipe and the webcam cooking class experience! Assembly: The next before, marinate the chicken in the first seven ingredients. The next day, heat a large skillet with a splash of oil. Add the chicken and marinade into the pan and cook the chicken until done. The marinade will reduce as you cook. Meanwhile, slice the onions and peppers. Once the chicken is done, set it aside. Add the onions and pepper and cook until caramelized. Once cooked to your preference (my Dad and I like our onions extra caramelized) add the chicken back in to the skillet. Serve with warmed tortillas, cheese, sour cream, and salsa.